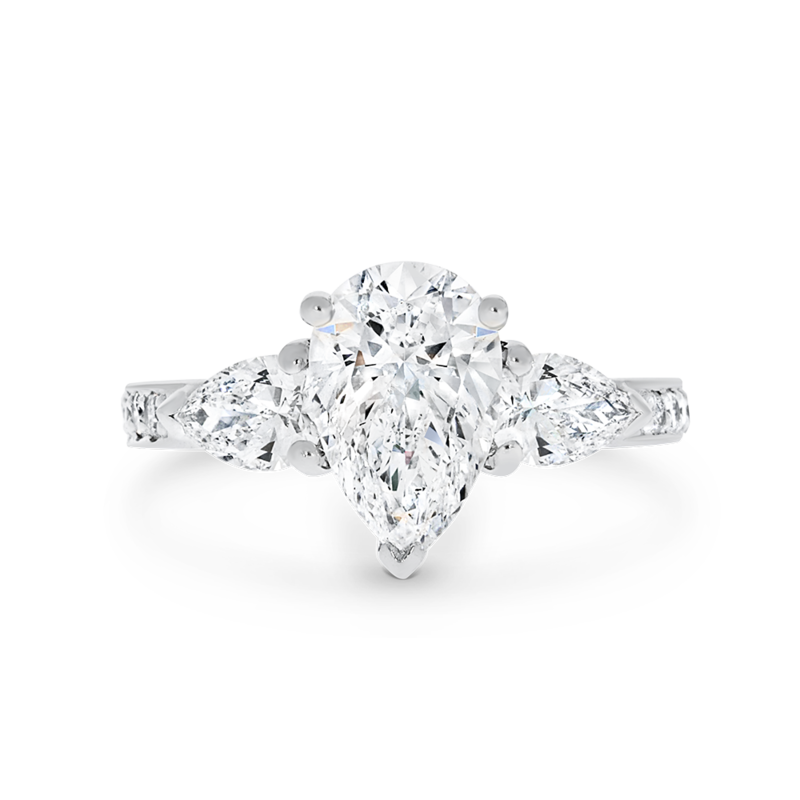 Elegance and timeless beauty is epitomized by a stunning pear-cut centre stone and side-stones. A delicate claw-set diamond band enhances the overall brilliance of the ADC Callista setting for a look that is striking. Available in a wide range of centre stone carat weights. Available in 18ct white, rose and yellow gold, or 950 platinum.